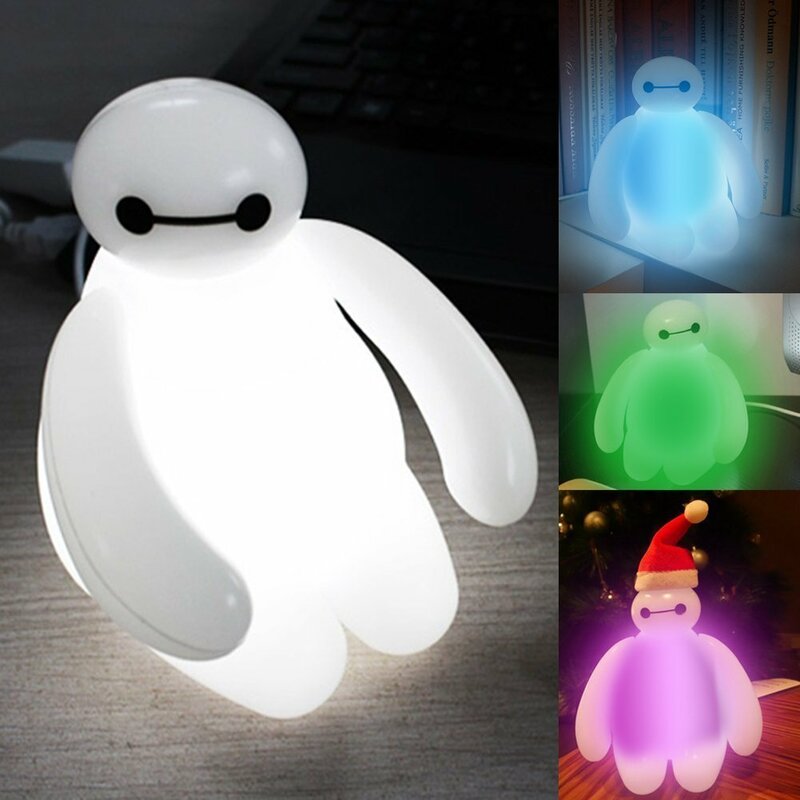 Home › Toys › Big Hero 6 Baymax Vinyl Action Figure Cartoon Kids Color Changing Night Light..
Big Hero 6 Baymax Vinyl Action Figure Cartoon Kids Color Changing Night Light..
Big hero 6 style LED night light,light-up 3 mode:multi-color slow flshing;steady on white,turn off the light. LED decoration lamp,movable head and hand,amazing healing company for home and office. Various postures could be put with thoughtful design, feeling Baymax be with you at any time ,bring a huggable version of Baymax home . Power: built-in rechargeable battery (DC5V. 400mAh) or USB,product size: 5.9*5.1*6.3 inch. Suitable for bedroom,living room,home display,kids room,office decoration,gift and other romantic places.